Context. Today high-resolution file playback is one of the most interesting ways to achieve first-class sonic performances at home. Enabling it are downloads from a few websites as 24-bit FLAC or AIFF files at 96kHz or 192kHz sampling rates. Fast broadband access and the direct connection of the recording industry with the Internet has introduced a second stage using native 1-bit DSD (Direct Stream Digital) files. This requires some specific upgrades within our conventional playback equipment and the number of D/A converters able to decode DSD is still limited but rapidly increasing. Does this mean one can exceed the best of legacy SACD spinners with DSD streamers directly decoding native master recordings or high-quality remasters? That would be some technical achievement and eliminate another barrier between the recording studio and our listening rooms. Even though DSD should be no perfect stranger to most audiophiles, it's still useful to issue a reminder of what it is precisely. DSD—Direct Stream Digital—is a generic pulse-density modulation data format which uses one bit at a very high sample rate. The standard rate is 64 x 44.1kHz, i.e. 2.8224MHz. When this standard DSD rate was still argued to be insufficient for professional use, a doubled rate of 5.6448MHz was added for the most advanced monitoring recorders such as Korg units. The Super Audio CD (SACD) uses this data format for high-resolution stereo and (if provided) multi-channel tracks whilst often also including standard Redbook stereo audio on a separate physical disc layer (the so-called hybrid disc which accounts for most commercial releases). Copyright-protection data is embedded as a physical modulation of the width of the data stream ‘pits’ and only licensed SACD production plants have the necessary technology to encode this data. Due to a very conservative commercial policy from Sony, SACD production has remained an esoteric niche market and a disc without that physical copyright-protection data is not playable on current standard SACD players. Processing native DSD still isn't easy today despite the recent fashion renewal for audiophile DSD streamers. The extent of installed recording equipment able to process DSD data directly is rather limited due to Sony's policies. Hence most of it is by now out of production. Next most systems that claim DSD compatibility actually transcode DSD to high-resolution PCM (24/96 or 24/192), perform all signal processing at that resolution, then convert the result back to DSD. This represents a very practical way to maintain a work flow within the processing facilities most record companies are used to. Thus the only thing you know for sure about most SACDs is that they are distributed in the DSD format. Just don't insinuate the same about their actual production process. There is no proof that the producer used a bona fide DSD recorder. DSD files may be burnt to DVD media as standard UDF (universal disk format) files and Sony released a specification to support this. However, since the physical copyright protection data of a standard SACD cannot be imposed to a conventional computer DVD drive, such burnt discs won't play back on standard SACD players. 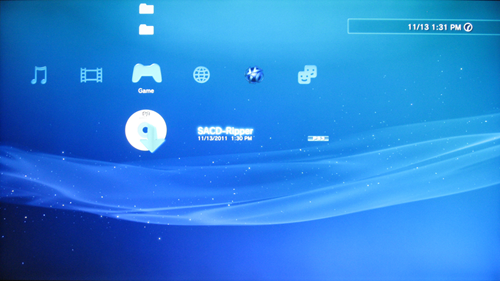 However early Sony PS3 machines do recognize this format and will play it back as will all Sony Vaio computers and any standard PC with Windows Media Player 10/11 upgraded to the DSD plug-in. It thus comes as no surprise that for the time being, DSD streaming remains more theoretical promise than widespread use. Ripping SACD really isn't an open process and DSD downloads in the West remain quite rare still. For instance this site currently offers about 40 DSD titles whilst Channel Classics has about 140 downloads. They claim to have been processing recordings in pure DSD since 2001. For two years now the Dutch have been using an 8-channel Grimm converter they consider one of the very best available. DSD downloads remain limited and whoever invests now in DSD-capable hardware and software obviously bets on the future of DSD downloads. The existing catalog of DSD recordings is certainly rich as the technology has been used in sound processing for quite a long time. It presently only lacks an entrenched distribution model to jump-start the next 'revolution' in audiophile-quality recordings.